It was the London Marathon over the weekend. The crowds were buzzing, the emotions were high and the sun was shining. I knew that the event itself would be quite exciting but crowds are not really my thing so I ran away to a palace in the country – more on this tomorrow. The highlight of the marathon for me was long after the runners had hit the pub. Tower Bridge remained closed to traffic for most of the afternoon, which meant that I was able to walk down the centre of that iconic bridge. 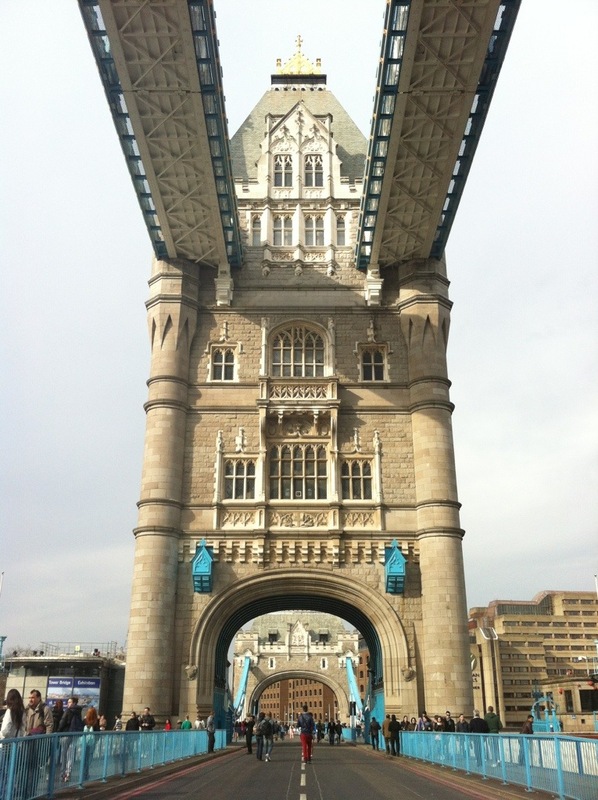 Or more accurately, I was able to strut across Tower Bridge. This moment of quiet joy meant far more to me then the race, and is definitely something I will try to recreate next year.